This blog post will detail the PowerShell commands required to carry out an environment rollover / migration using Windows PowerShell where possible. The steps below use the database approach to rollover the Production environment to the Test / Development environment. As a prerequisite I would recommend taking full backups of the Test / Dev farm to enable the environment to be rolled back if required. Use your usual farm backup procedures. Firstly connect to the Test / Dev Application server and launch the SharePoint 2016 Management shell. You can check in Central admin in the Project Server Service Application to check that the PWA site has been removed. Using the SharePoint 2016 Management Shell, remove the existing content database from the web application that hosted the PWA site collection that was removed in the previous step. Make a note of the database name used when this database is restored as it will be required later. Using the SharePoint Management Shell, mount the restored content database to the web application that will host the PWA site collection. The Project Server Cube settings will need to be updated – update the SQL AS server / cube name. Any Excel based reports in PWA will need to be updated to use the ODC files / connection strings from the Test / Dev environment as they will currently point to the Production ODC files / connection strings. This is done by opening the Excel reports in Excel, changing the ODC file / connection strings then saving the file back to the library. All projects will need to be republished on the test / dev instance so that the project site features such as the issues and risks sync works as expected. There are other ways to fix that but republishing the projects is the easiest / safest option from what i have found. Also worth noting, if you haven’t done so already, install Service Pack 1 http://support2.microsoft.com/kb/2880556 first if installing the January 2017 CU. 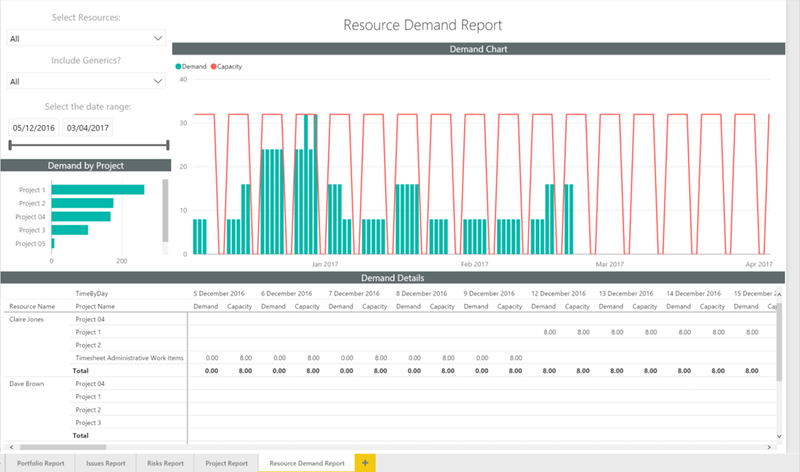 These reports only use default intrinsic fields so it should work for all Project Online deployments. On the “Enter Parameters” window update the PWAURLParameter value with the correct PWA URL and click OK. If prompt with the authentication options. Select Organizational account then click Sign In. A Privacy levels window may appear, select Organisational then click Save. The Apply Query Changes window will appear as the data is refreshed. Once the refresh window disappears the reports will update to show the data from the target PWA instance. 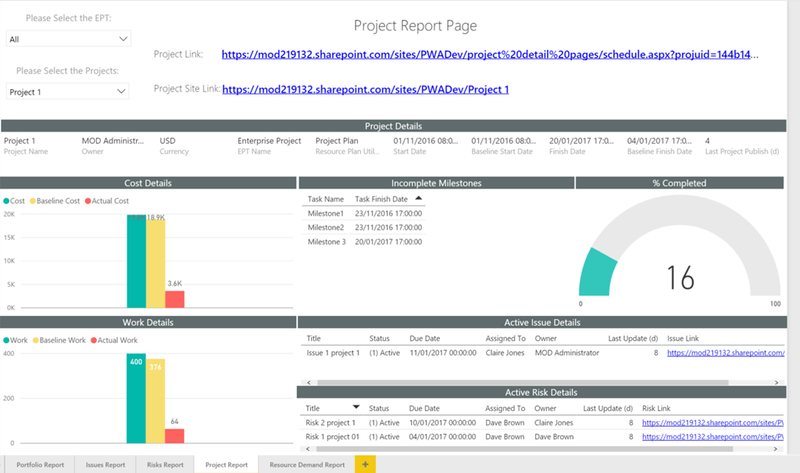 Click the Project Report tab and change the project filter from Project 1 to a project from your PWA instance. Save the file. 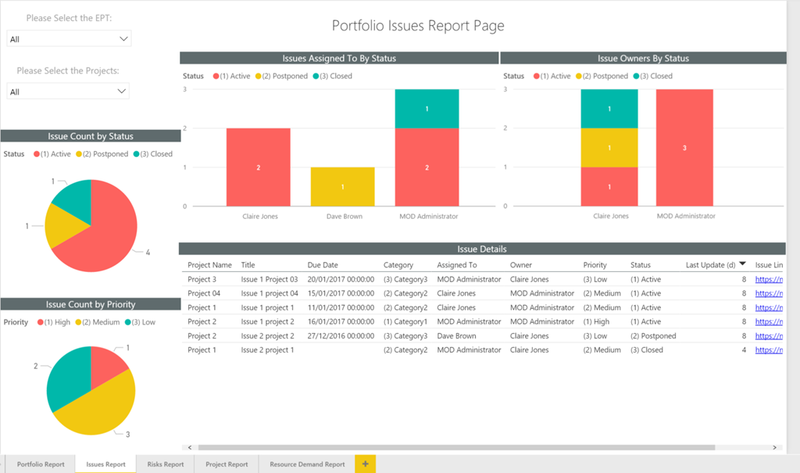 This file can either be emailed around to colleagues with details on how to update the credentials to their own or what would be better is to publish the report to your Power BI workspace can create an organisational content pack that others can add to their Power BI workspace. 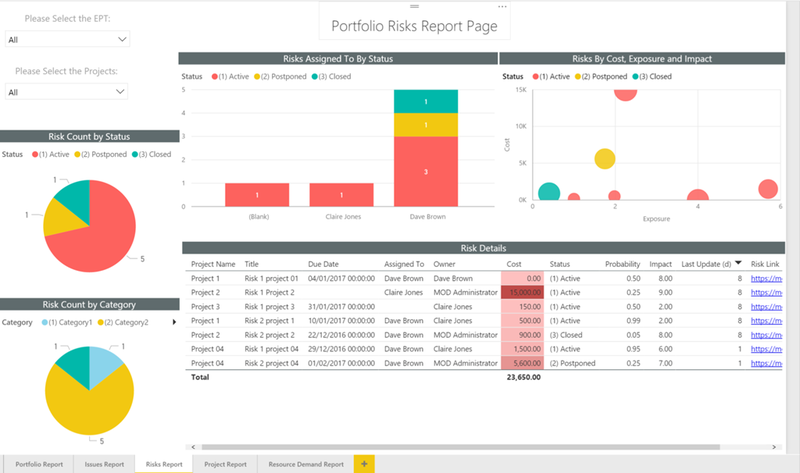 If the Power BI organisational content pack is the chosen option, you might want to create a Dashboard first. 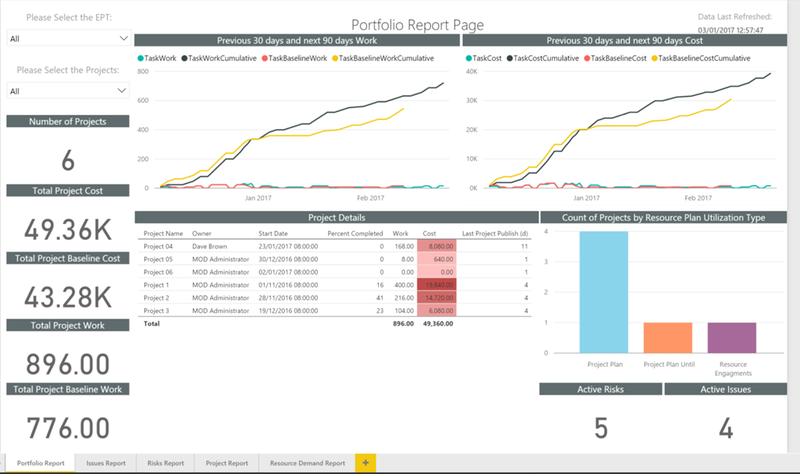 In a follow up blog post to this one, I will touch on creating a dashboard once the report is published to my Power BI workspace then create an organisation content pack.